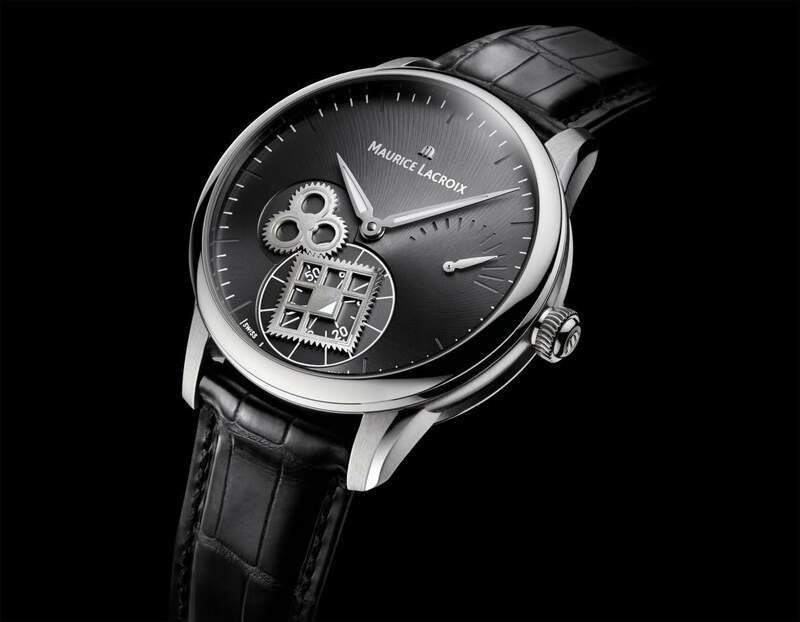 In 2010, Swiss watch brand Maurice Lacroix set a cat amongst the pigeons in mechanical watchmaking by developing a square wheel mechanism––the first in watchmaking history. Quite apart from its sheer aesthetic appeal, it introduced a whole new way of marking the passage of time. For 2011, Maurice Lacroix’s Roue Carrée offers a fresh angle on the passage of time, by focusing on the seconds display. As a result, the Masterpiece Roue Carrée Seconde is a truly fascinating spectacle to behold. Designed by watchmaker and engineer Michel Vermot in collaboration with the Haute Ecole Arc du Locle, the square wheel mechanism has taken years to perfect. As the gear profiles of non-circular wheels cannot, by definition, be regular, the principal challenge was to define the shape of the teeth in order to ensure constant power transfer. The wheels were made using LiGA technology—a revolutionary process that combines the techniques of photolithography and electroforming to make high-precision micro-components that cannot be made with traditional machining methods. The eye is mesmerized from the very first glance by the hypnotic movement of the Masterpiece Roue Carrée Seconde. The small-seconds display comes to life before your very eyes thanks to the steadfast, rhythmic movement of the square wheel with its geometric openwork. Its prominent phosphorescent corners serve as a reminder of time’s constant march onwards. The square wheel, whose corners and contours mesh with the same precision as its circular counterparts, is activated by a toothed clover-leaf wheel and turns continuously to create an extremely dynamic visual effect. In order to leave the seconds hand firmly in the spotlight, the hours and minutes are indicated by a simple central hands coated with Superluminova. A power-reserve indicator at 3 o’clock adds balance to the picture. The hours, minutes and power reserve are displayed directly on the main plate, which serves as the dial. The watch’s readability is enhanced by its Grand Colimaçon (or snailed) black or rhodium finish, which makes the indicators literally glow, while the alternation of satin-brushed and polished finishes adorning the 43 mm steel case showcases its silhouette to perfection. A large sapphire-crystal case back reveals the refinement of the ML156 mechanical movement, decorated with Grand Colimaçon in finest Swiss watchmaking tradition. The Masterpiece Roue Carrée Seconde—an unprecedented fusion of technology and talent—encapsulates the philosophy of Maurice Lacroix and its Masterpiece collection. A philosophy in which engineering and beauty dovetail to challenge the boundaries of design, in an attempt to change the very face of time. Resolutely masculine and eminently technical, this new item—a contemporary watch that breaks with preconceived ideas to stay ahead of its time— confirms the brand’s status as expert innovators. Galvanizing the most technical of watchmaking skills, it offers time a new lease of life. Engineer and watchmaker Michel Vermot has taught at the Haute Ecole Arc, located in Le Locle (Switzerland), for 20 years. A specialist in mechanical and electronic watches, he has managed many industrial mandates in the framework of his role at the HE-ARC. He now runs the Movement Development Department at Maurice Lacroix. The square wheel and clover leaf are highlighted by a circular opening on the movement main plate itself, decorated with a sandblasted background.